Freshkills Park is possibly the most ambitious project ever undertaken in modern day New York City. NYC Parks and Sanitation are working hand-in-hand to recycle what was the world’s largest landfill into a destination for nature, art, and culture where Staten Islanders, New Yorkers, and our visitors from out of town can enjoy an experience like no other. The Freshkills Park Alliance is an advocate for the continuing development of Freshkills Park. We continue our support for all the projects and programs that bring people to the site now, even as the Park development and public review process proceeds. As you will see from the entries below, the Park has been through environmental and community reviews, and will continue to do so as the Park is built out. We want to support the Parks Department’s process for keeping the public review transparent, and so have included the full documents linked below. From the beginning of the Parks Master Planning process, through the development of each part of the Park, we support and will continue to participate in the public involvement in this great project. In addition to the public meetings, the planning process was guided by a Community Advisory Group, comprised of stakeholders representing local and regional recreational, environmental, cultural and youth organizations. Although design work is progressing on the first park projects, Fresh Kills Landfill is not mapped parkland. For land to have the protections that come with park designation, it must be officially mapped as parkland through the New York City Department of City Planning Uniform Land Use Review Procedure (ULURP). ULURP is a crucial step in ensuring that Fresh Kills will never be reopened or used for some other unwanted industrial use. It is a mandated public review process during which the public can comment and the Community Boards, Borough President, City Planning Commission, and City Council vote on the proposal. 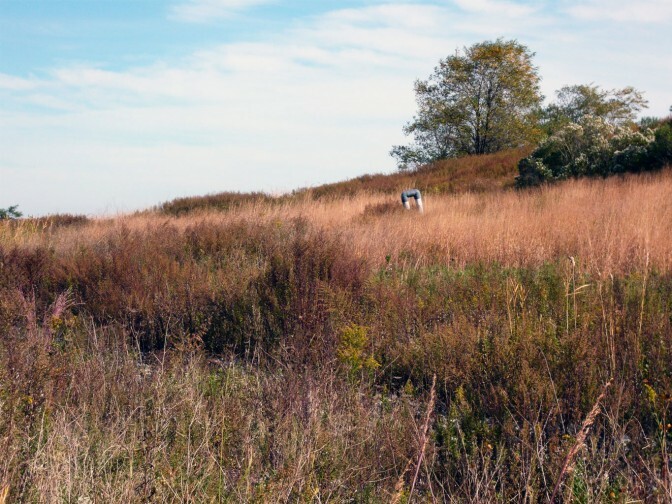 The New York City Department of Parks & Recreation (DPR) prepared a Generic Environmental Impact Statement (GEIS) for the entire Freshkills Park project that evaluated the build out of the approximately 2,200 acre park in its entirety. Subsequently, DPR prepared a Supplemental Environmental Impact Statement (SEIS) that analyzed the construction of park roads through East Park, examining the potential impacts in greater detail than previously examined in the GEIS and also examining park road phasing, impacts on Landfill Section 6/7 and the associated landfill infrastructure, and further examining road options and alternatives. The Statement of Findings, published in 2009, documents the environmental review process and conclusions presented in both the GEIS and SEIS. The New York City Department of Parks & Recreation has issued the Notice of Completion for the Freshkills Park Generic Environmental Impact Statement. Pursuant to state and local law, the document identifies any potential adverse environmental effects of proposed actions, assesses their significance, and proposes measures to eliminate or mitigate significant impacts. The chapters of the document are available for download, below, as individual PDF documents. Hard copies are also available at all Staten Island libraries and Community Boards. A public hearing was held on Thursday, September 4, 2009 to receive comments on the Environmental Impact Statement. Warning: Large files. Some of the following files may take several minutes to download depending on your connection speed. To decrease download time, right–click on a link and choose “Save Link As”. On May 24, 2006, the New York City Department of Parks and Recreation held a public scoping meeting on the Scope of Work for a Generic Environmental Impact Statement (GEIS) to be prepared for the proposed Freshkills Park on Staten Island. The Final Scope is available, below, as a downloadable PDF file. This document contains a compilation of all the comments received by DPR on the draft scope and also incorporates revisions to the draft. Changes between the draft and final scopes are indicated by double–underlined text. Based on comments received on the Draft Generic Environmental Impact Statement for the Fresh Kills Park project, it was determined by the New York City Department of Parks & Recreation (DPR) that a Supplemental Environmental Impact Statement (SEIS) would be prepared that focuses on the proposed East Park roads. The purpose of the SEIS is to provide a targeted and detailed analysis of the proposed East Park roads, as well as an examination of proposed alternatives. Since these segments of the proposed roads require a number of critical discretionary approvals from state and federal agencies, it is intended that the Draft SEIS (DSEIS) will address the environmental issues and concerns of these agencies through a coordinated environmental review under the direction of DPR. As part of the SEIS process, a scoping meeting was held to provide the public and all interested and involved agencies with the opportunity to comment on the “Draft Scope of Work to prepare a DSEIS.” The purpose of the Scope of Work is to provide an agreed-upon framework and outline for the analysis that will be conducted to evaluate the potential impacts. 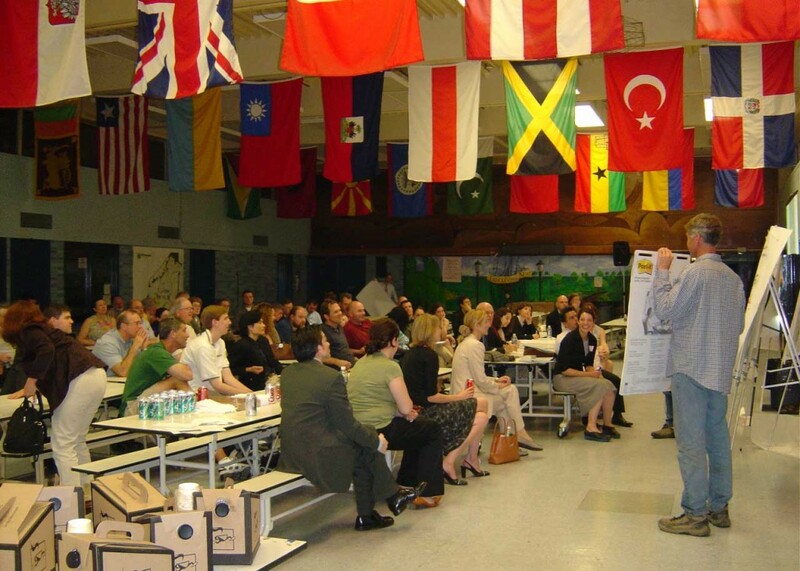 The public scoping meeting was held from 7:00 p.m. to 9:00 p.m. on March 25, 2009 at P.S. 58, located at 77 Marsh Avenue on Staten Island. The New York City Department of Parks & Recreation has issued the Notice of Completion for the Freshkills Park Final Supplemental Environmental Impact Statement. Pursuant to state and local law, the document identifies any potential adverse environmental effects of proposed actions, assesses their significance, and proposes measures to eliminate or mitigate significant impacts. The chapters of the document are available for download, below, as individual PDF documents. Hard copies are also available at all Staten Island libraries and Community Boards. A public hearing will be held about the Fresh Kills Park Draft Supplemental Environmental Impact Statement on Monday, June 22 at 7 p.m. at Wagner College: Spiro Hall 2, located at One Campus Road in Staten Island. There is no need to RSVP. The chapters of the DSEIS are available to download as individual PDF documents. Hard copies are also available at all Staten Island libraries and Community Boards. Written comments on the DSEIS may be submitted to: Joshua Laird, Assistant Commissioner for Planning and Parklands, New York City Department of Parks & Recreation, The Arsenal, Central Park, 830 5th Avenue, Room 403, New York, NY 10065.